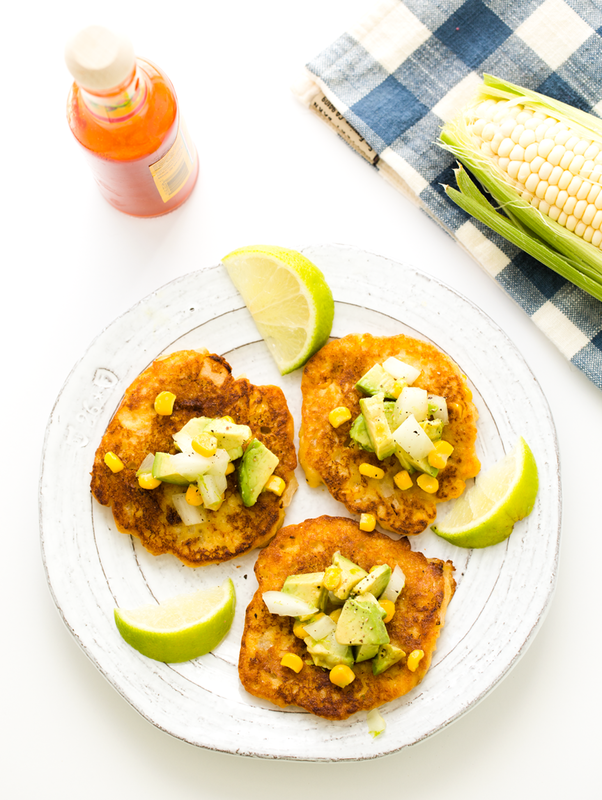 Summer Corn Fritters with Avocado-Lime Salsa, Vegan + GF. Plus, the Summer 15! On this super sunny morning the kittens were lounging by the open window, the birds were chirping and I was in the kitchen cooking up a storm. I love this time of year for cooking all day long. There are longer hours of good photography light and the farmer's markets are loaded with inspiration. 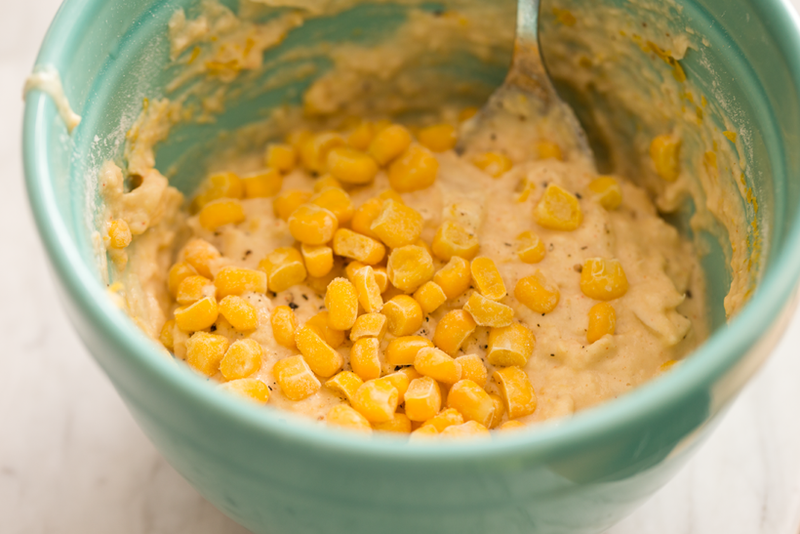 And today's inspiration was sweet, golden, fresh summer corn. 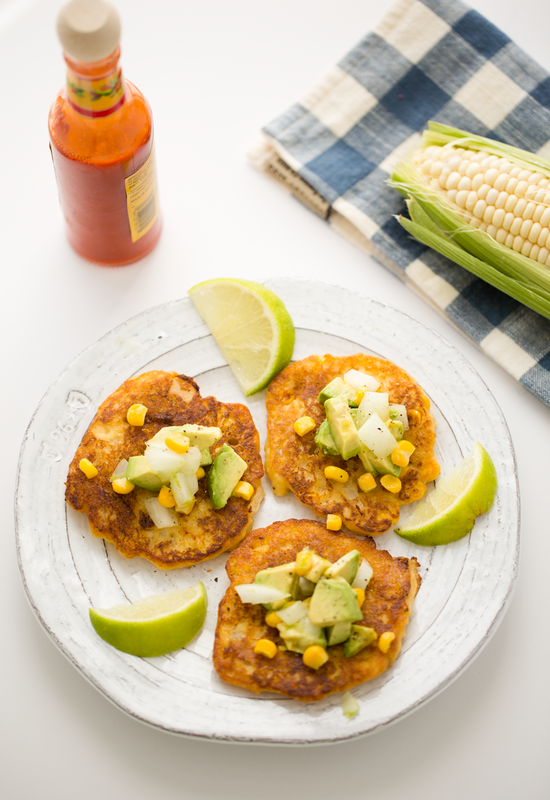 These Fresh Summer Corn Fritters with Avocado-Lime Salsa are fluffy and flavorful with spicy-salty-sweet flavors in every bite. 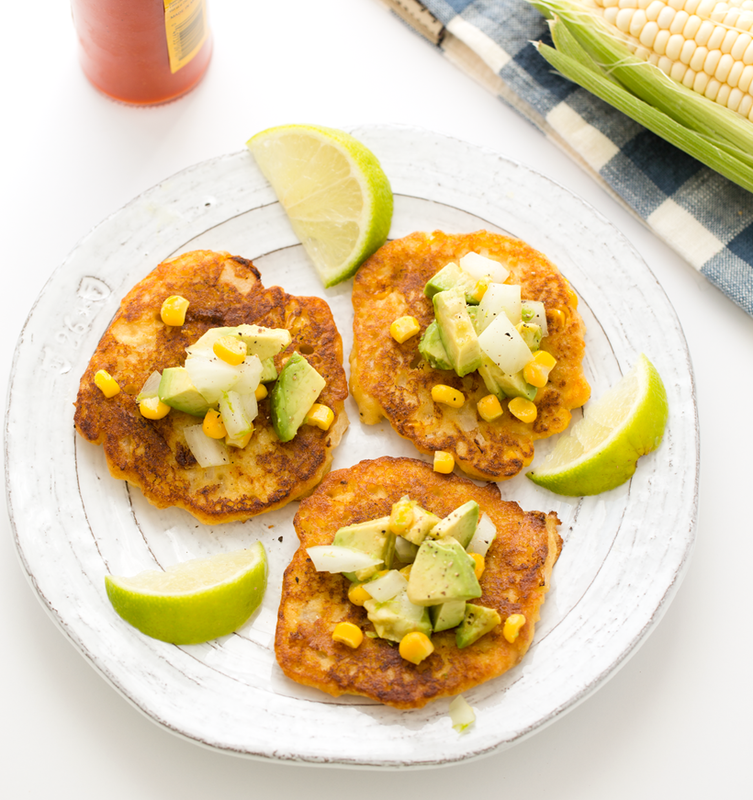 The buttery avocado salsa on top is citrusy, bright and zingy -- a perfect contrast to the cozy corn fritter. 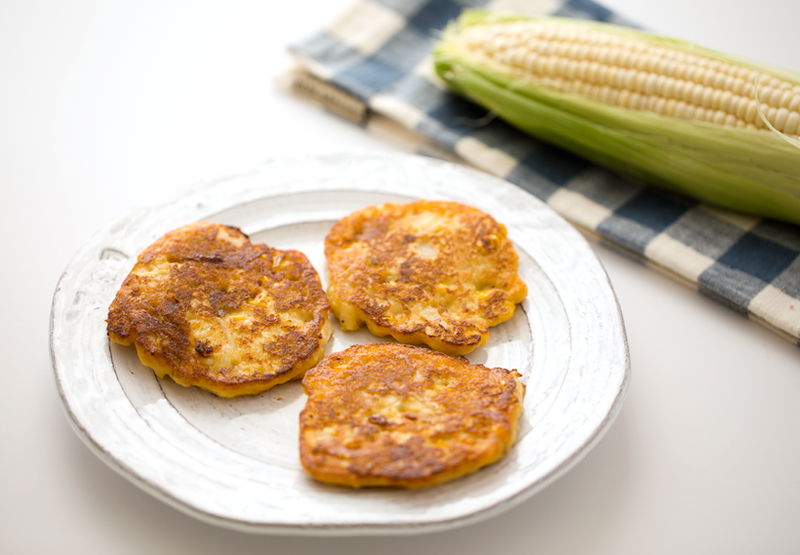 And yes, you can even bake these fritters instead of pan-frying them, if you want. 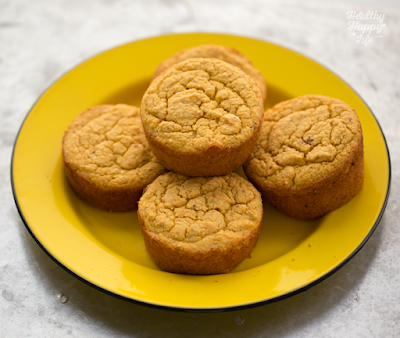 Gluten-free and rich in corn goodness. Let's start husking..
A very light pan-fry in some EVOO..
Then we add the simple avo-lime salsa.. Enjoy with a little hot sauce on top.. This is what happened when I baked the fritters.. really fluffy and lovely! 350 degrees until golden brown on both sides -- I used parchment paper which can help with even browning..
15 in 30 Challenge. I have a little bit of a goal to share with you. (And no, I promise this challenge has nothing to do with bikini season). I figure if I make my challenge public, I am more likely to actually do it. 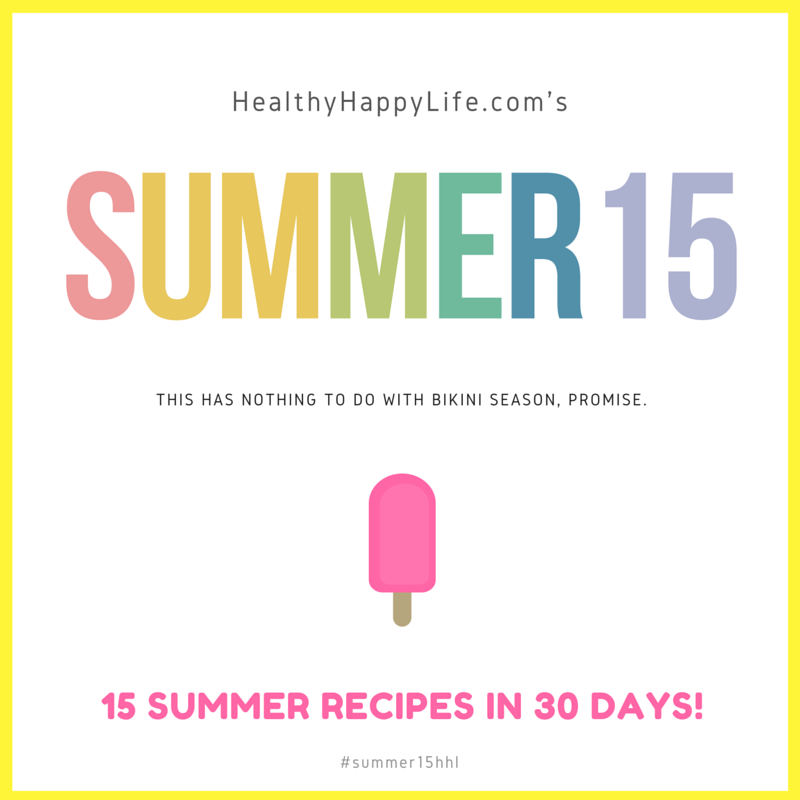 I want to load up my blog with some fresh, inspiring, go-to summer recipes this month. So I have a goal to post 15 new recipes in June. Which would be about one new recipe every other day. I have taken some time off in the past few months to try and focus on healing my mind, body and soul - which I talked a lot about here and here. So since I am feeling a bit back to myself lately, I am energized to crank up the oven, fill up my Vitamix and load the fridge with ingredients this month. I hope you join me for my cooking adventures and if you have any special requests, let me know in the comments! I debated doing a 30 recipes in 30 days challenge, but I decided that was a bit too much. So 15 in 30 it is! Challenge Yourself! I challenge YOU to join me this June and prepare 15 NEW-to-you recipes in your kitchen. You can follow along and use the recipes I post, or jump around and create your own summer challenge cooking menu. I will be sharing summer-menu inspiration all June long. Share the Summer15 Challenge with your friends and try it together! Use hashtag #Summer15hhl when posting to social, so we can all follow along. 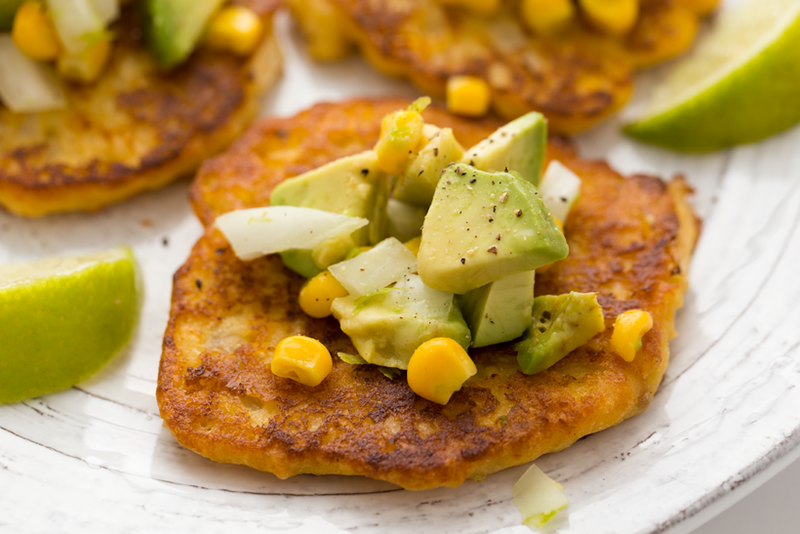 These simple fresh corn fritters are light and fluffy and work well with a zingy avocado salsa. 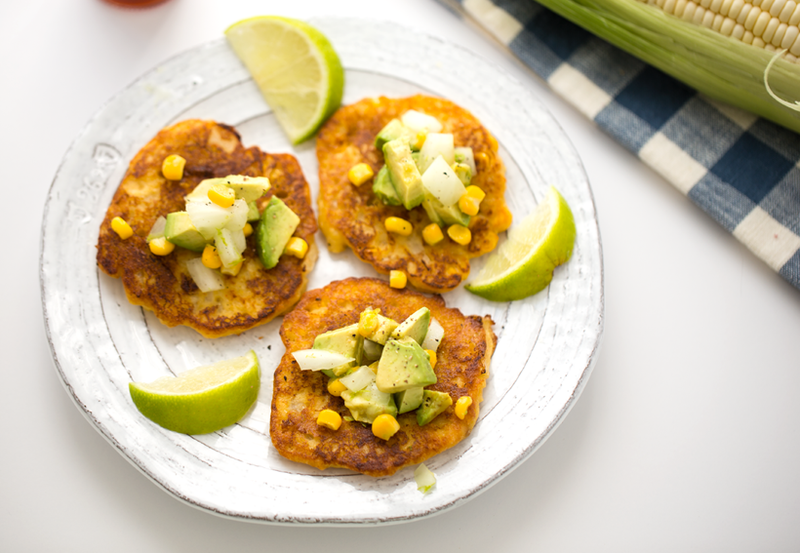 **Vegan Egg options: you could also use a flax egg, 1/2 cup silken tofu or add in an additional 1/2 cup of fresh corn to the blended corn mixture. I think the tofu will work best for this recipe. If you do not use the VeganEgg, you will want to add in a bit more salt, probably 1/4 tsp more. 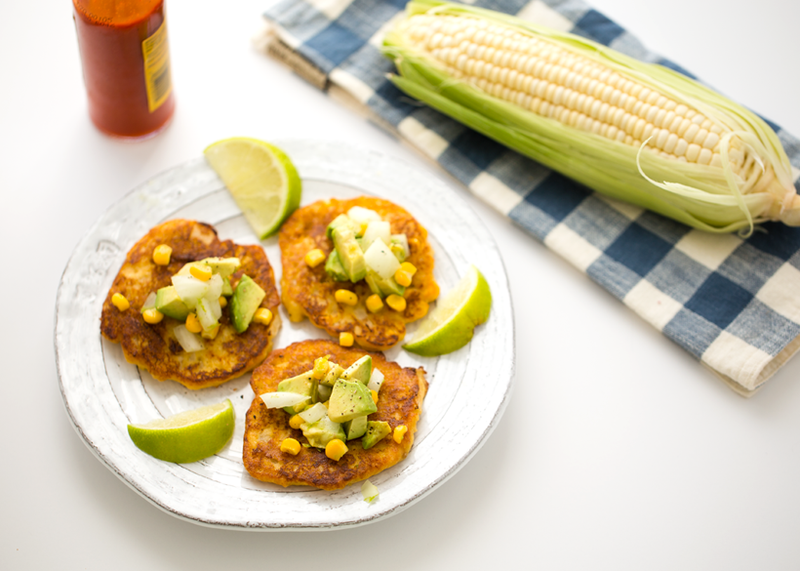 Husk your corn and slice off the kernels. Portion out 1-2 Tbsp of kernels for folding into the batter later. Add the kernels (about 1 1/4 cups), the water and the VeganEgg product to a high speed blender. Blend until smooth. Pour into a medium sized bowl. 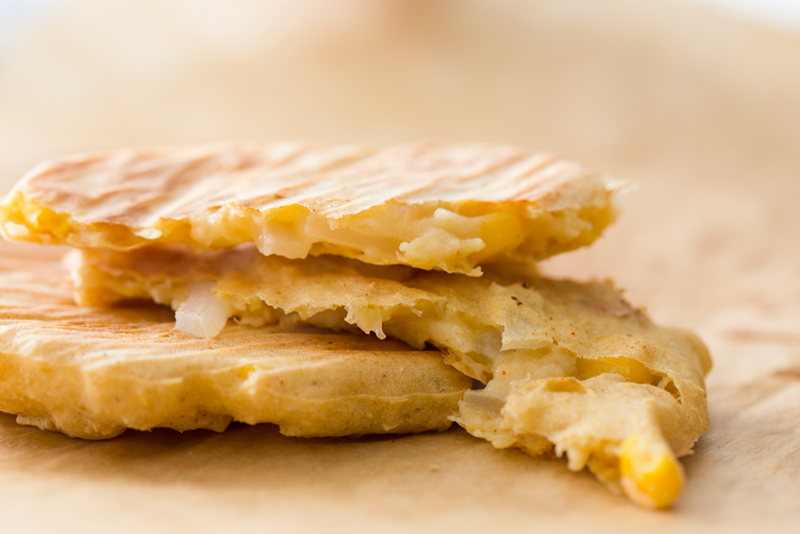 Fold in the flour, salt, pepper and optional nutritional yeast. Stir to combine. 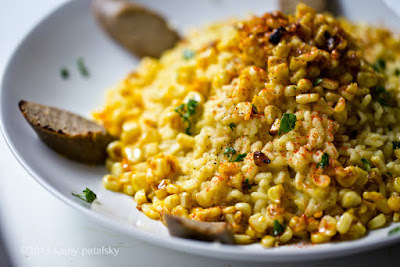 Fold in the reserved whole corn kernels and the diced onion. If adding in vegan cheese, fold it in now. Warm a skillet over medium-high heat and add enough extra virgin olive oil to lightly coat the pan. This is a very gently fry. 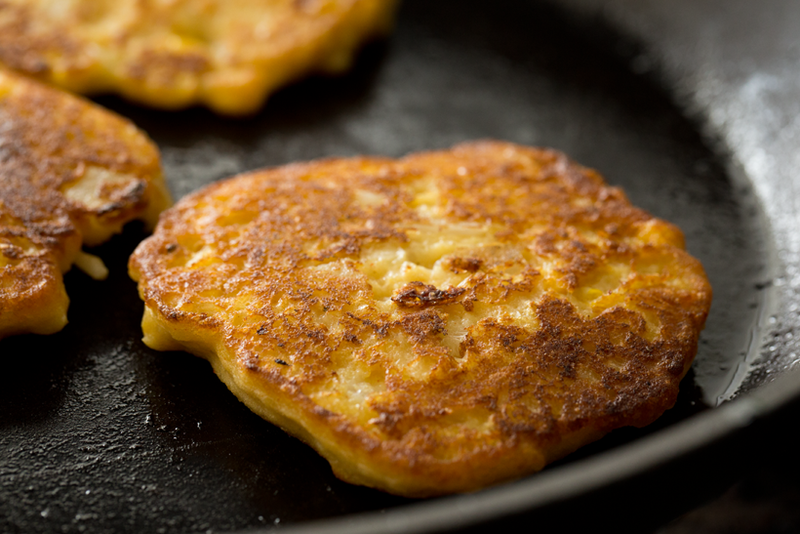 If you want to add more oil and do a heavier "fried" fritter, go for it. Add 1 1/2 - 2 Tbsp of batter to the warmed pan and smooth out a bit. Allow to cook 2 minutes, then flip, then another 1-2 minutes, then flip again. Keep flipping and cooking until the edges are dark brown, but not burnt. You want the fritter cooked through, yet still fluffy in the center. 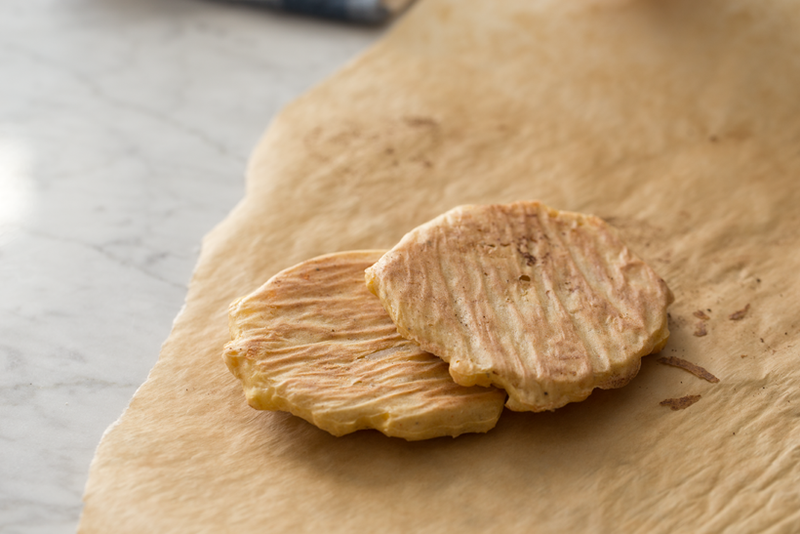 To finish, add an optional drizzle of maple syrup to the pan. 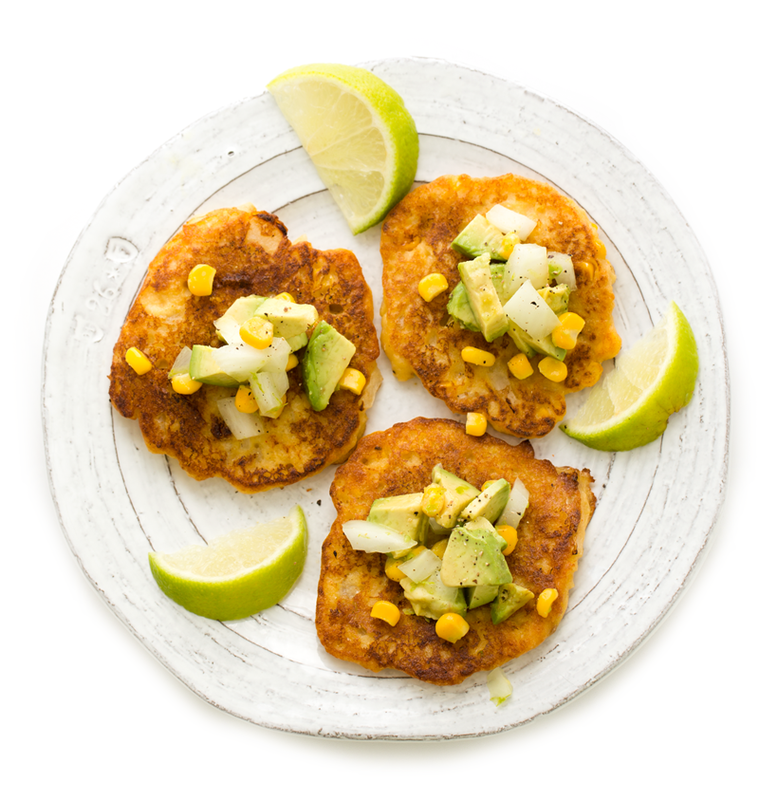 This gives the fritters a salty-sweet flavor that I love. 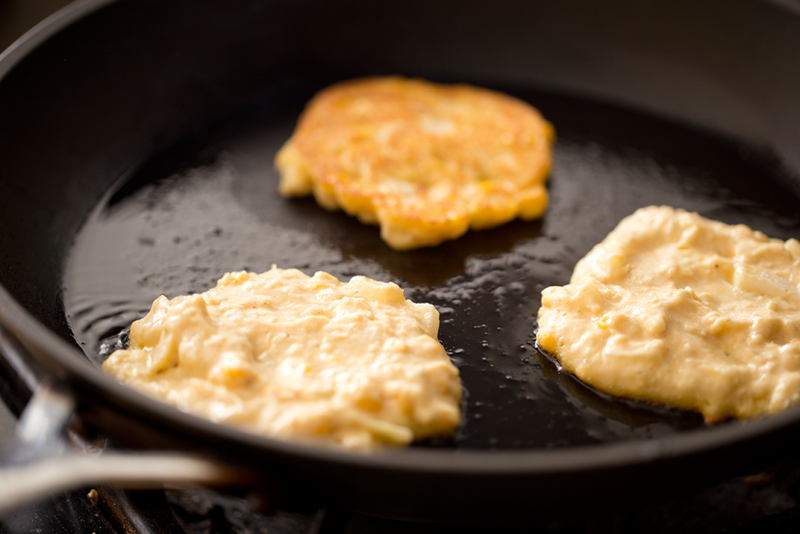 Remove fritters from pan and place on serving plate. Salsa: Combine the salsa ingredients in a small bowl and toss well. 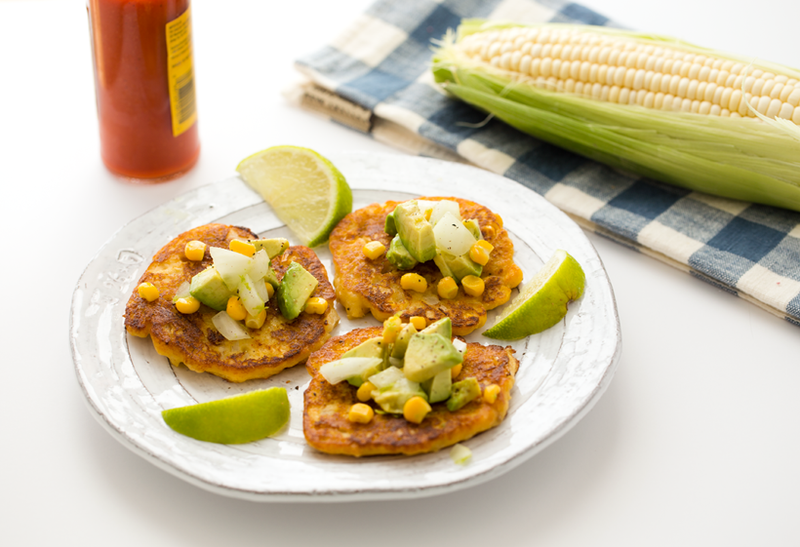 Scoop the salsa over top the warm corn fritters to serve. 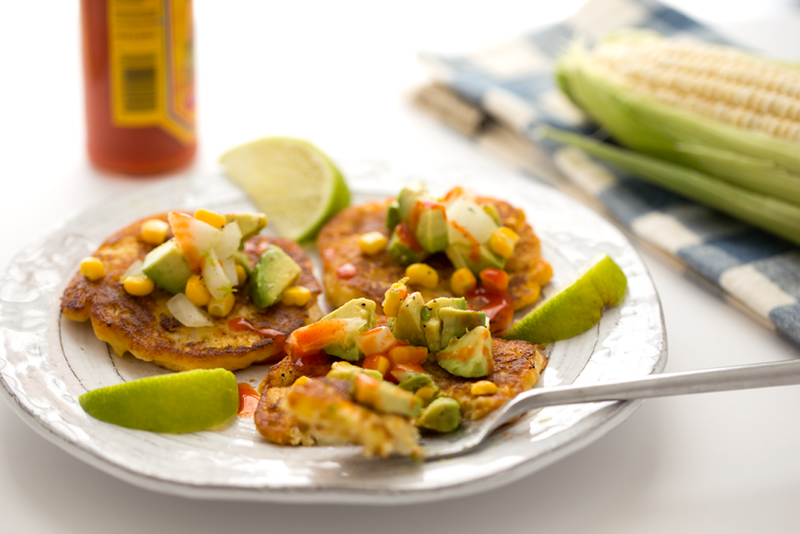 Serve with hot sauce, lime slices and a bit of fresh pepper on top. 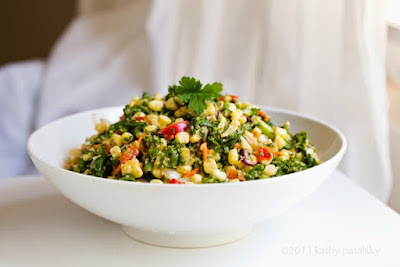 Three More Summer Corn Recipes..